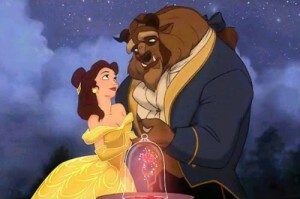 A Disney classic has been released on Blu-ray/DVD, “Beauty and the Beast” Diamond Edition. Digitally restored, this edition of the movie is the brightest and clearest that it has ever been. Another great feature was “Composing A Classic.” Composer Alan Menken discusses how he and Howard Ashman created the music for the movie. The music from “Beauty and the Beast” is so iconic that it is fascinating to hear how Menken and Ashman thought of how to compose each song. This edition also offers two deleted scenes. You can see why both were deleted. As well, you can choose from three different versions of the film to play. The Special Extended Version has an extra 11 minute musical number called “Human Again.” The Original Storyboard Version shows how the film evolved through running the original storyboards. Finally, the Original Theatrical Release is the movie that we all have seen and loved. Other features include: a new Beauty and the Beast music video with Jordin Sparks, family games, and a piece on its transition to Broadway. “Beauty and the Beast” was the first animated movie to be nominated for Best Picture at the Oscars. From that point on, Hollywood started to take animation more seriously than it had before. We have seen how it advanced since 1991. All in all, “Beauty and the Beast” Diamond Edition is a must-have for everyone. “Beauty and the Beast” Diamond Edition is now out in stores. Previous ArticleFilm Review: "Life As We Know It"